The loss of one's children! 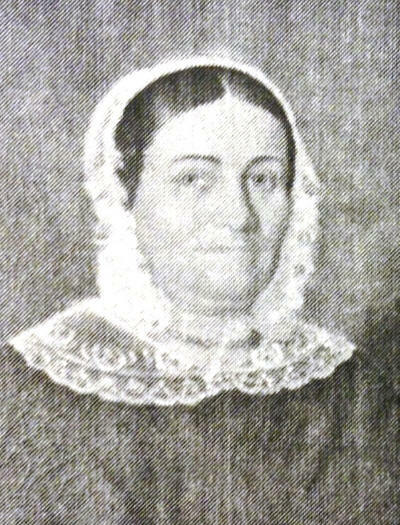 Anne Catherine Perkins Martin was born in 1800 and passed in 1885. Courtland Bliss Stebbins was born in 1812 and passed in 1901. Both are 2nd Great Grandchildren of Rene and Ruth Cossitt and first cousins as their mothers are sisters. The following is a transcript of the major portions of a hand written letter dated July 9, 1860 from Anne Catherine Perkins Martin to her first cousin Courtland Bliss Stebbins. "Dear cousin, I received your letter of March last some time since; but domestic cores & work have prevented my answering it before. I was truly glad to hear from you & could not think that it had been so long since we had seen or heard from you. The Dr & I feel to sympathize with you & your wife in your great loss. We know the anguish of heart – the loneliness that parents feel when death has robbed them of all the dear little ones who are the light of the house. We lost three at one time with scarlet fever (that total ???? destroyer) – and were without any children for one year. We have lost many children since, but when parents have one child kept for their affections to cling to, they never feel that extreme anguish they do when they are all gone. It will not be long at fartherest until we meet our loved ones in that land where there is no trouble or sorrow. Our daughter Mary married Charles S. Elder nearly four years ago. She has had three children. The oldest and youngest are girls, healthy and playful as can be and just as bright and smart as all grand children are. The second one was a boy always delicate. Last fall he took bowel complaint finally had ulcers in the bowels lingered along for six months & then died. He was a sweet little fellow—his name was Harry Royster. It seems we are to have no sons in our family. I took care of the dear little one all the while he was sick." Courtland's son who passed was Charles Ernest Smith Stebbins who was born April 27, 1956 and died on February 14, 1860 in Lansing, MI. Special thanks go to “The Stebbins Family Archives, Lansing MI”.